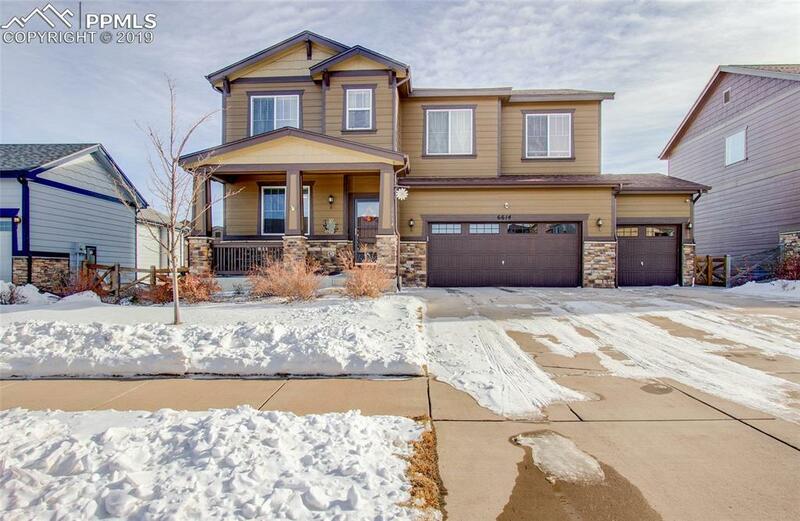 Immaculate Two-story home with newly finished basement * 5 Bedrooms w/large loft * 4 Baths * 3915 sq. ft. * Large kitchen w/island & dining area * Formal dining area * All appliances including clothes washer and dryer * Touch Technology kitchen faucet * Over-sized sliding glass door * Wood blinds throughout * Ceiling fan in every room * Whole house humidifier * Transferable SMART Security System (outdoor cameras, window/door alerts, motion detector, glass break) * 3 New Ring Security Cameras * Upstairs laundry with sink 50-gallon water heater * A/C ready * SMART Thermostat * Oversized 3 Car garage w/SMART openers (782 sq. ft.) * SMART garage door lock * Covered front porch * Outdoor speakers * Canvas Canopies for back patio * Wood-framed shed * Basketball court with industrial sized adjustable hoop * Concrete patio including sidewalk.Newly finished basement includes Ã¢â‚¬â€œ 9Ã¢â‚¬â„¢ Ceilings *Oversized steam shower with aromatherapy, Chroma therapy, 6 body sprays & rain shower head * Wet bar including a wine fridge and a hammered copper sink * Recessed-LED lighting with dimmers * Workout area * Storage w/barn doors * Several USB wall chargers * Double insulation to sound proof above floors * Built-in table/game area * Upgraded carpet and pad * Open to open space & walking trails * Walking distance to Award Winning Banning Lewis Ranch Academy K-5th and the new Banning Lewis Preparatory Academy 6th-12th - currently through 10th is now open * The list goes on * Move-in ready * Must see!